I have always loved the photographs that the Spitzer Space Telescope takes. I like seeing things through a different light – get it? Because humans don’t see in infrared like the Spitzer does! This image of the center of our galaxy is one of my favorites. For optical telescopes, a lot of the light from the Milky Way Galaxy is obscured by clouds of dust and gas. Certain wavelengths of light can penetrate those clouds, but humans cannot see all wavelengths of light. That is why the Spitzer telescope is so important! Because this image is in the infrared, we are able to see many of the stars that make up the very crowded galactic center. It reminds me a lot of satellite images of cities, where you see the center with a lot of street lights and buildings, then the light disperses the further away from the city’s center. A satellite photo of a city spans probably 9 miles but this picture spans about 900 light years. 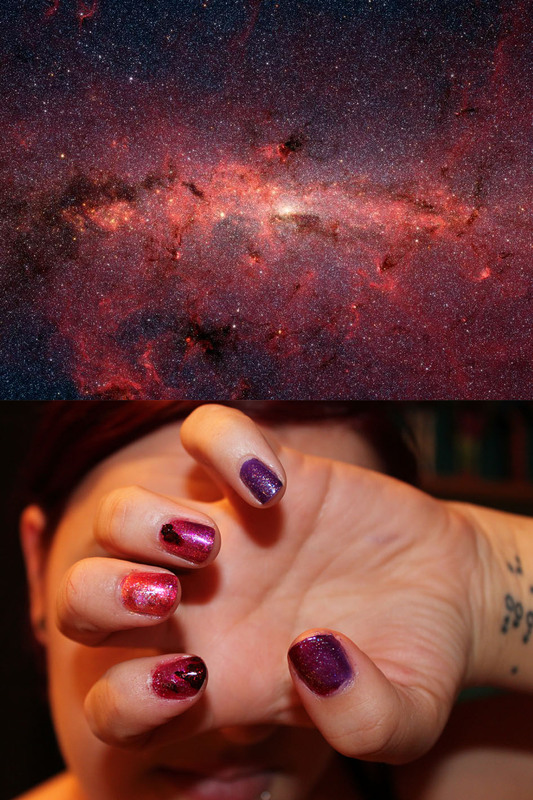 So, I decided to paint my nails like this photograph, because I love it so much. Thank you, NASA, for such amazing images. As a side note, I just have to say, I am really starting to love this mint/sea-foam color that is everywhere! 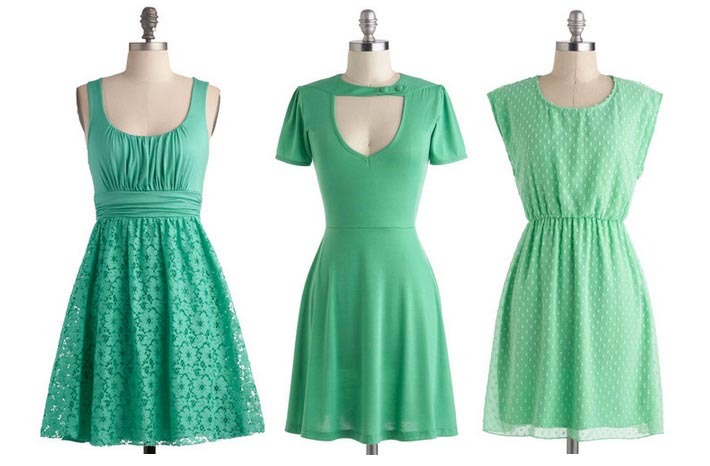 I am currently struggling to decide between these three dresses from ModCloth!